*LHP Christian Kowalchuk (junior Saskatoon, Sask.) made it all the way to the College World Series in Omaha with the Arkansas Razorbacks. 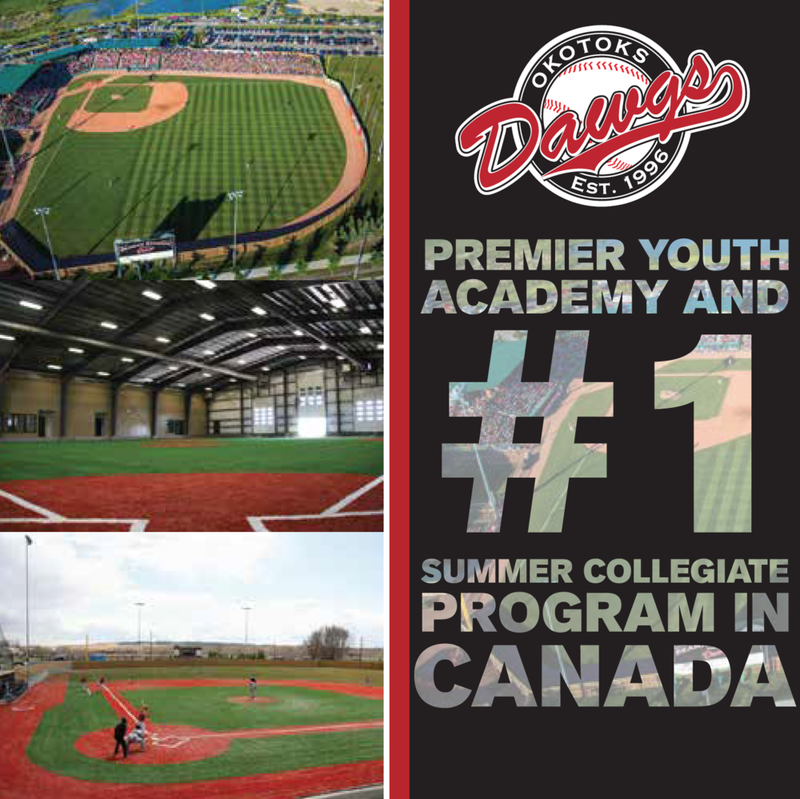 There 132 Canadian players who worked out all winter hopeing to make Omaha and the College World Series. That was the total playing NCAA Division I baseball, the total of Canucks playing south of the border is at 706. No less than 18 Canadians were on the rosters of teams making the 64-team NCAA playoffs which lead to the College World Series. _ INF Carter Bell (freshman, Courtenay, BC), of the Oregon State Ducks, hit. .261 with one homer and eight RBIs in 30 games. _ 3B Jason Chatwood (junior, Red Deer, Alta.) of the Gonzaga Bulldogs hit .238 with four homers and 23 RBIs. RF Grant Kveder (senior, Lethbridge, Alta.) batted .217 with nine RBIs. _ SS Terrance Dayleg (senior, Surrey, BC) of Western Kentucky Hilltoppers, hit .320 with three homers and 33 RBIs. _ LHP Guillaume Dupont-Duguay (senior, Trois-Rivieres, Que.) of the Sam Houston State Bearkats was 2-1 with a save and a 3.72 ERA, walking five and striking out 33 in 31 1/3 innings in 19 games. _ OF Marcus Knecht (freshman, Toronto, Ont.) of the Oklahoma State Cowboys, appeared in 10 games and went 2-for-12, batting .167. Both hits he had were home runs as he knocked in four runs. _ LHP Christian Kowalchuk (junior Saskatoon, Sask. ), of the Arkansas Razorbacks, appeared in 15 games working 17 1/3 innings with a 3.63 ERA without a record, as he walked 10 and struck out 14. _ C Marc-Olivier Mimeault-Jodoin (senior, Candiac, Que.) of the Georgia State Panthers hit .394 with 14 homers and 58 RBIs in 54 games. 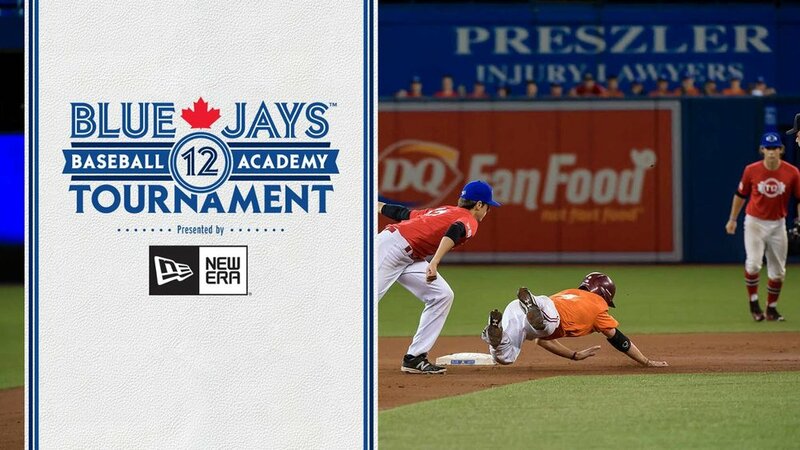 2B Carl Moniz (junior, Laval, Que.) hit .274 with 10 homers and 39 RBIs. _ SS David Narodowski (junior, Vancouver, B.C.) of the Kansas Jayhawks, hit .345 with five homers and 38 RBIs. _ RHP Rylan Ostrosky (senior, Edmonton, Alta. ), of the Wright State Raiders was 5-6 with a 4.48 ERA in 13 starts, He walked 23 and struck out 45 in 70 1/3 innings. _ Richard Rausch (junior, Toronto, Ont.) of the Tennessee Tech Golden Eagles, was hitless in one at-bat. _ RHP J.R. Robinson (junior, Burnaby, BC) of the Oklahoma Sooners was 3-1 with a 6.53 ERA, walked 14 and striking out 44 in 49 2/3 innings. LHP Mehdi Djebbar (junior, Montreal Que.) didn’t allow a run in four outings, working 1 2/3 innings, walking a pair. _ LHP Ali Simpson (freshman, Campbell River, BC) of the Bethune-Cookman Wildcats was 9-2 in 15 games with a 2.70 ERA in 15 games, including 12 starts. _ C Jeff Skelhorne-Gross (sophomore, Mississauga, Ont.) of the Binghamton Bearcats, hit .386 with three doubles and 11 RBIs. RHP Billy Hurley (freshman, Mississauga, Ont.) was 1-0 with a 6.11 ERA in 10 games, including one start. He walked seven and striking out nine in 17 2/3 innings. _ Luke Willson (freshman, LaSalle, Ont.) of the Rice Owls, who doubles as a tight end, was injured in football practice. And how they did At the Fort Worth regional ... Bell and Oregon State failed to advance as Bell: Entered as a defensive replacement in a 13-1 loss to the TCU Horned Frogs. Had three hits, including a double and knocked in a pair of runs in a 9-8 win over the Texas A@M Aggies. Didn’t play in a 5-4 loss to TCU. On the season ... Bell hit .294 with a homer and 10 RBIs in 31 games, making 14 starts. At Fort Worth ... Ostrosky started the opener pitching one inning and allowing four walks and one run in one inning as Wright State was edged 6-3 by the TCU Horned Frogs. Wright State was eliminated by the Texas A@M Aggies 6-4 in 11 innings. On the season ... Ostrosky was 5-6 with a 4.54 ERA in 14 starts, He walked 27 and struck out 45 in 71 1/3 innings. At the Atlanta regional ... Mimeault-Jodoin had two singles in a 9-3 loss to Georgia Tech Yellow Jackets in the opener, while Moniz was hitless in three at-bats. Mimeault-Jodoin also had a pair of hits as Georgia State was eliminated with a 4-3 loss to the Elon Phoenix. On the season ... Mimeault-Jodoin hit .398 with 14 homers and 58 RBIs in 56 games, making 49 starts. Moniz hit .261 with 10 homers and 39 RBIs in 59 games, making 51 starts. At the Gainesville regional ... Bethune Cookman dropped the opener to the Florida Gators 8-7. Simpson then started but was not involved in the decision as BC was eliminated with an 8-7 loss to Jacksonville . Simpson worked two innings allowed five runs on five hits and four walks. On the season ... Simpson had a 9-2 mark on the season in 16 games, making 13 starts. He walked 32 and struck out 79 in 75 1/3 innings. At Clemson, S.C. regional ... Knecht did not play as Oklahoma State, beat Alabama 10-6 and edged Clemson 3-2 before losing 15-1 and 6-5 to Clemson. On the season ... The former Ontario Blue Jay hit .167 with two homers and three RBIs. At Clemson ... Rausch did not play as Tennessee Tech lost 5-4 to Clemson, beat Alabama 6-2 and was eliminated by a 10-0 score. On the season ... Rausch was hitless in one at-bat. At the Greenville, N.C. regional ... East Carolina beat Binghamton 11-7. Skelhorne-Grosse hit a run-scoring fly ball in the two-run fourth as Binghamton went ahead to stay in an 11-6 win over George Mason. East Carolina eliminated Binghamton with a 16-9 loss. Hurley did not pitch. On the season ... Skelhorne-Gross hit .373, with three doubles and 12 RBIs in 27 games. Hurley (was 1-0 with a 6.11 ERA in 10 games, walking seven and fanning nine in 17 2/3 innings. At the Chapell Hill, N.C. regional ... Narodowski was 3-for-3 with a solo homer in the third and a solo homer in the fifth as Kansas lost 11-3 to the Coastal Carolina Chantileers. Narodowski hit a solo homer in the third for a 3-0 lead as Kansas hammered Dartmouth 16-0. He then knocked in the lead run in the seventh -- a two-run single, one of his two hits, in a 5-1 win against Coastal Carolina. Narodowski singled as Kansas was eliminated by a 12-1 score against the North Carolina. On the season ... he hit .354 with 19 doubles, a triple, eight homers and 43 RBIs in 60 games, while scoring 64 runs. At the Fullerton regional ... Chatwood had two hits, including a ninth-inning, run-scoring single, while Kveder added a singled in a 19-10 win over Georgia Southern Eagles. Kveder singled and Chatwood was hitless in a 7-4 loss to Cal-State Fullerton. Kveder and Chatwood each had a pair of hits. On the season ... Chatwood hit .241 with four doubles, four homers and 24 RBIs in 54 games. Kveder batted .233 with two doubles and nine RBIs in 35 games. At the Norman, Oak. regional ... Robinson came on in relief in the first inning and pitched three innings as the Oklahoma Sooners lost 17-6 to the Arkansas Razorbacks 17-6. He allowed three runs -- two earned -- on five hits and three walks, while striking out three. Oklahoma then beat Washington State 7-2 and was aliminated in a an 11-0 loss to Arkansas. Djebbar did not pitch. On the season ... Robinson was 3-1 with a 6.49 ERA, walking 18 and striking out 49 in 52 2/3 innings in 23 games, seven of them starts. Djebbar didn’t allow a run in four outings, working 1 2/3 innings, walking a pair. At the Oxford, Miss. regional ... Dayleg went 4-for-5 with a pair of doubles and an RBI in an 11-5 win over the Missouri TIgers. Dayleg singled in a 7-4 loss to the Ole Miss Rebels. Dayleg then tied his career-best with five RBIs in an 11-6 win over Missouri as he hit a two-out, two-run single to left as WKU grabbed a 3-0 lead in the first, hit a scoring fly ball and knocked in another run in his three-hit day. He was hitless in a 10-9 win against Mississippi. And Dayleg was hitless in a 4-1 loss to Mississippi. On the season ... Dayleg hit .327 with 18 doubles, two triples, three homers and 39 RBIs in 59 games. At the Houston regional ... Dupont-Duguay pitched 1 2/3 innings in a 5-2 loss to the Rice Owls. He allowed two runs on three hits and a walk, while striking out a pair. On the season ... he was 2-1 with a 4.09 ERA in 20 games picking up one save. He walked six and struck out 35 in 33 innings. At the Norman regional, Arkansas ran the table beatiing the Washington State Cougars 10-3, the Oklahoma Sooners 17-6 and then Oklahoma 11-0. Kowalchuk did not pitch. At the NCAA super regional in Tallahassee, Fla., Arkansas swept the Florida State Gatons by 7-2 and 9-8 scores in the best of three series, as Arkansas advanced to the College World Series in Omaha. Neb. At the College World Series in Omaha, Arkansas opened with a 7-2 win over the Cal State Fullerton Titans, then lost 9-1 to the LSU Fightin' Tigers, beat Virginia 4-3 in 12 innings and was eliminated 14-5 by LSU. Kowalchuk retired the final LSU out. On the season ... Kowalchuk appeared in 16 games working 17 2/3 innings with a 3.57 ERA without a record, as he walked 10 and struck out 14.